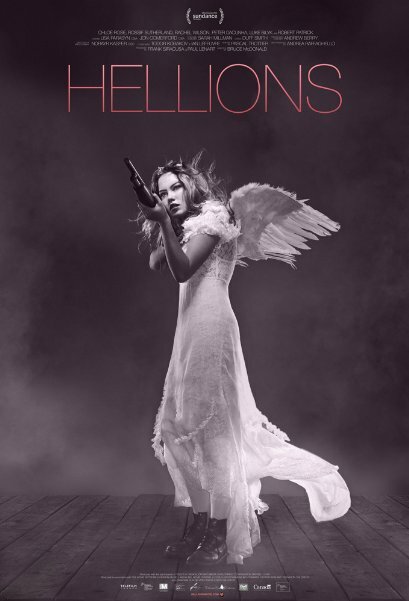 Check out the Hellions trailer below. The film stars Chloe Rose, Robert Patrick, Rossif Sutherland and is directed by Bruce McDonald. A teenager’s Halloween night turns into a terrifying fight to survive when trick-or-treaters from Hell show up at her doorstep. After getting the unwelcome news that she’s pregnant, seventeen-year-old Dora (Chloe Rose) just wants to stay in on Halloween. But then a knock at the door delivers a gaggle of pint-sized demons after one thing: Dora’s baby.